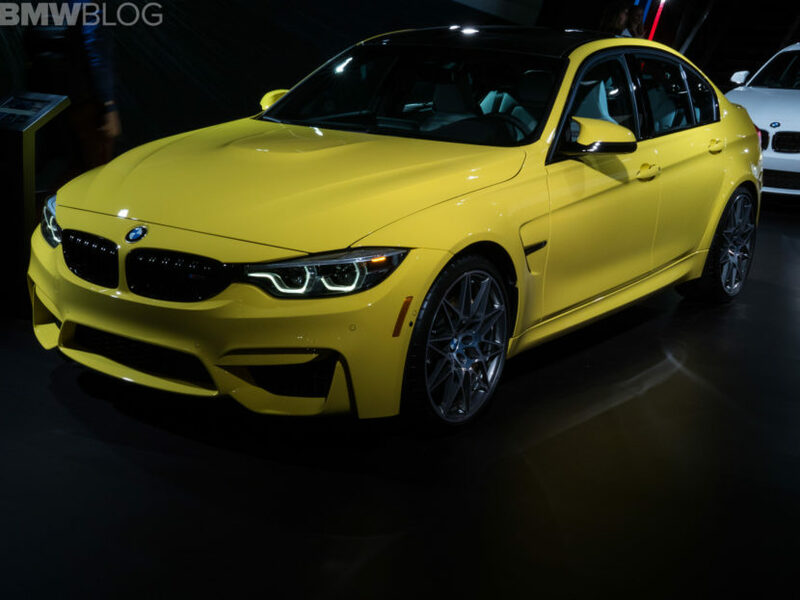 Another BMW Individual vehicle displayed at the 2018 New York Auto Show is a 2018 M3 Sedan painted in the flashy Dakar Yellow color. 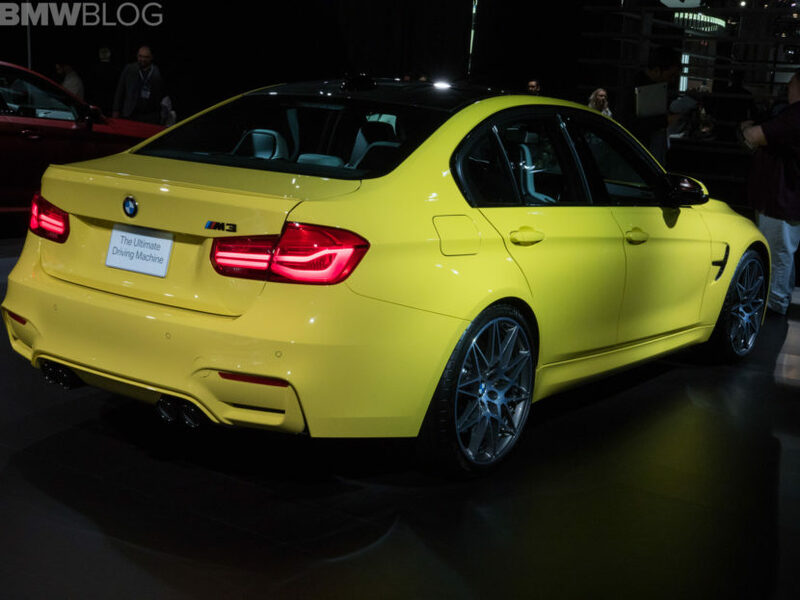 Along with the Individual color, the M3 was also equipped with the equally impressive Competition Package, an option costing the equivalent of $8,000. For that money you are getting an additional 19 horsepower (450 instead of 431), a 0 to 62 time of 4 seconds flat instead of 4.1, updated driving modes and differential, exclusive lightweight sports seats, unique rims and black details. The new suspension and revised diff make it feel like a completely different car. With the Comp Pack, the M3 is sharper, firmer and more comfortable all at the same time. It’s just more enjoyable to drive, more stable, more confident. But it also gets a new exhaust that actually breathes some life into that S55 engine. 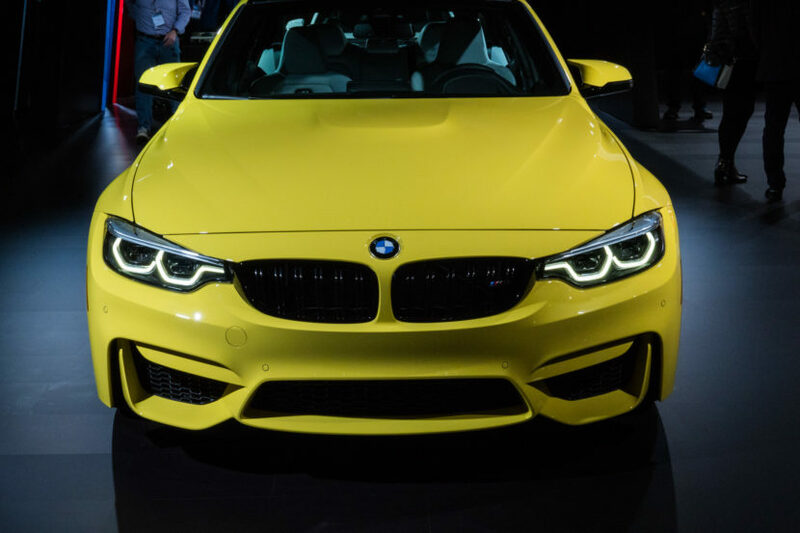 The Dakar Yellow color, made famous by by the E36 M3, has found a home on many recent BMWs, all of them processed through the BMW Individual program who allows any customer to pick their preferred color, for an extra cost. The yellow color is being matched perfectly against the black kidney grill and side gills, as well as against the grey painted M Performance Wheels. For more photos from New York City, see the gallery below. 2018 NYIAS: Lincoln Aviator — Can it bring Lincoln back?